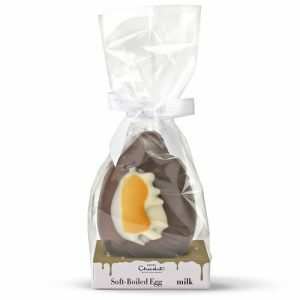 This is a season of Eggcitement indeed. 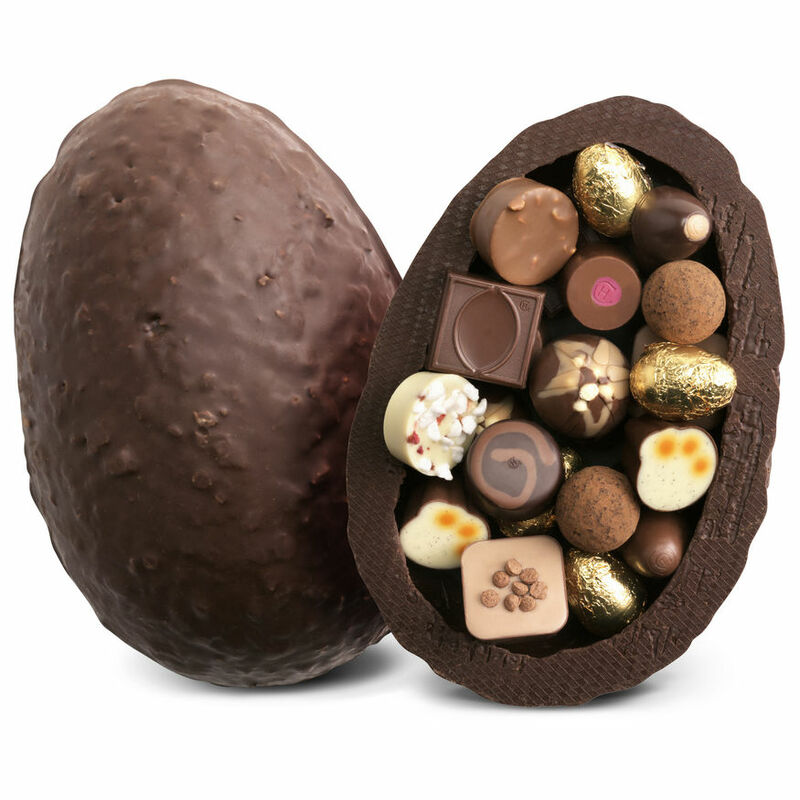 If you are looking for delicious chocolates this Easter season, do not look too far. Hotel Chocolat. have got you covered. 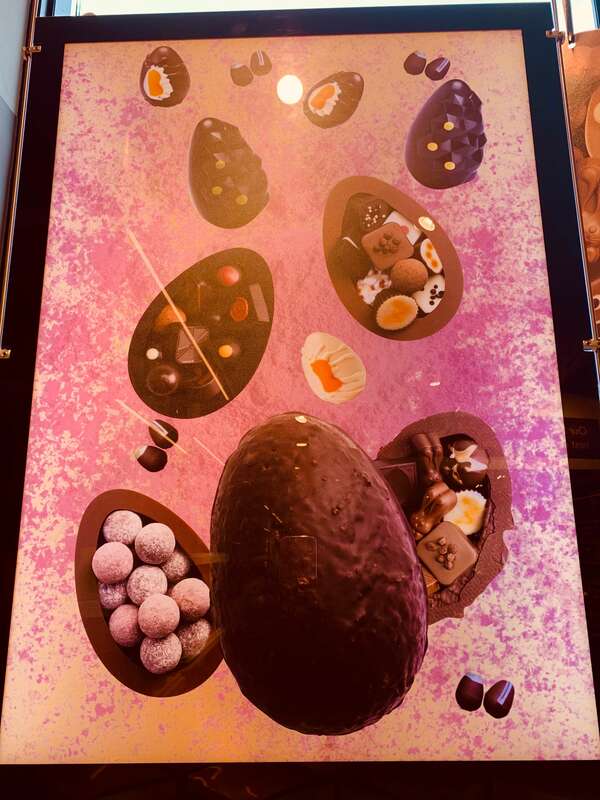 The extravagance and glamour that comes with Easter eggs have overtaken how the original founders of Easter egg chocolate expected it to be. 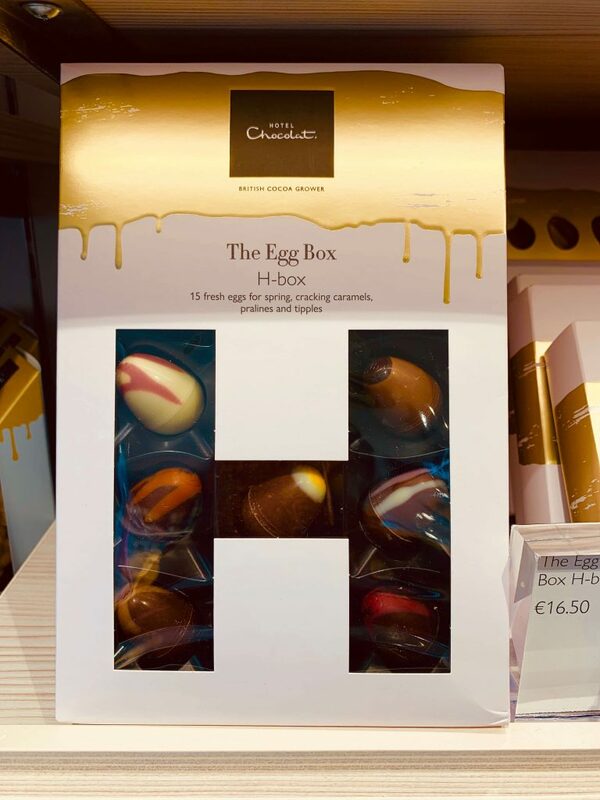 The Circular decided to find out what Easter egg chocolate is on popular demand in Dublin and how creative eggs have become. Hotel Chocolat., Henry Street Dublin, Ireland. 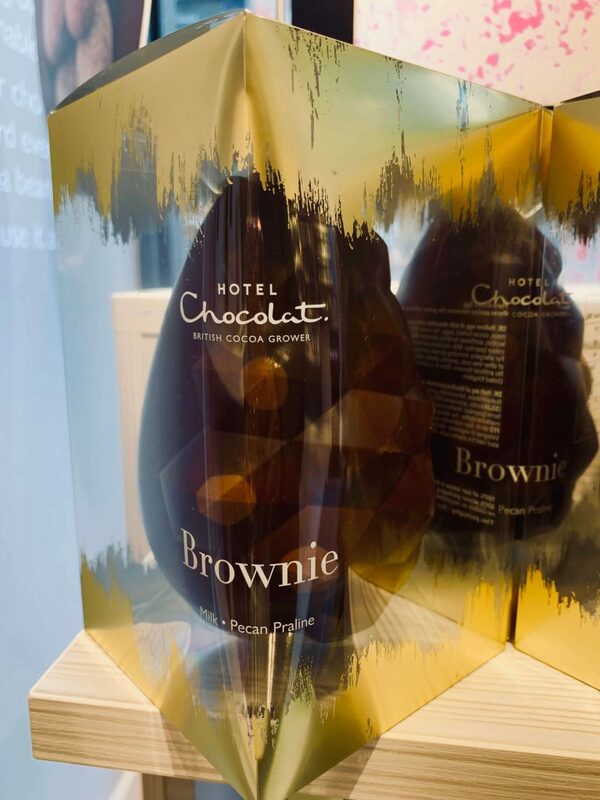 Hotel Chocolat. 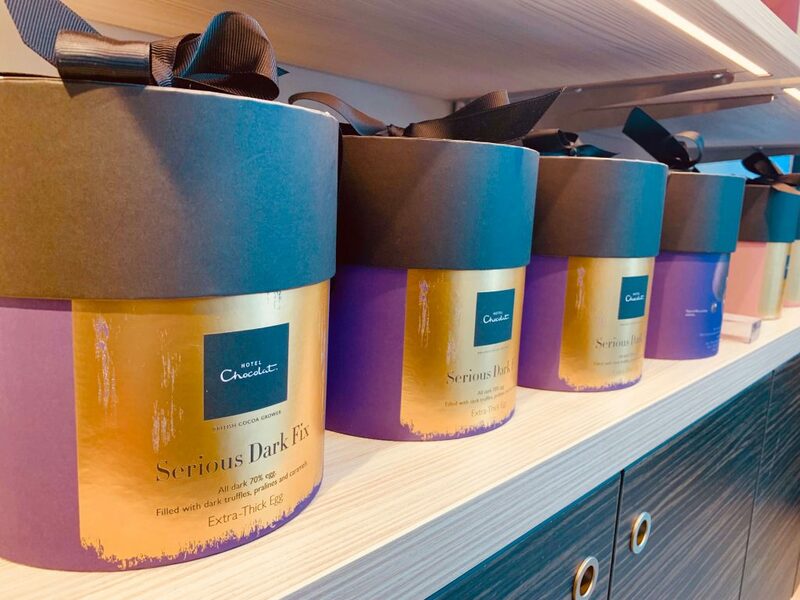 started selling its first chocolate in 1993 before it opened its first doors in 2004 in North London. Most popular eggs are the Extra thick Eggs- €27-€100 and the Soft -boiled Eggs- 3 for €36. Most sought after is the ROCKY ROAD CARAMEL. The Biggest Egg collection is the OSTRICH EGG which cost a €100 and its about L 24.60 x W 24.60 x H 28.30 cm in size. 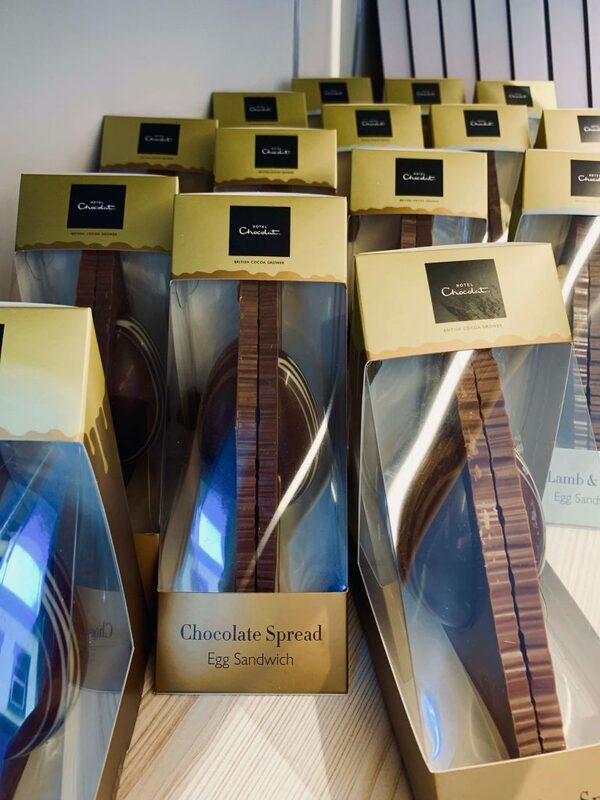 Most expensive Extra thick Eggs @Hotel Chocolat. 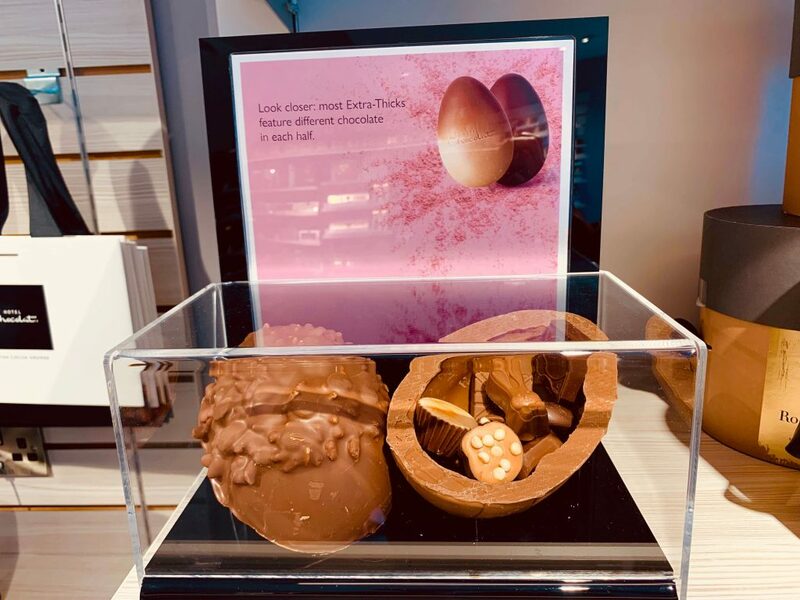 When the founders started the company, they were to use less chocolate in the eggs, but they decided to go with more chocolate and less sugar. 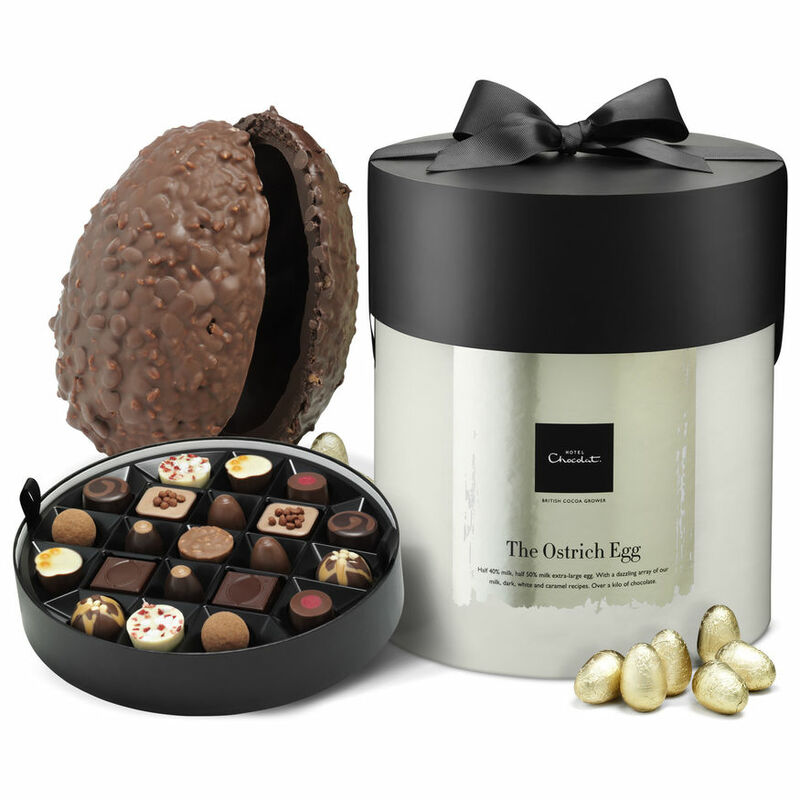 Extra thick Eggs @Hotel Chocolat. Soft- Boiled Eggs @ Hotel Chocolat. Hotel Chocolat. has been creative in its designs and originality this year compared to regular designers and styles. Hotel Chocolat. came up with EGG SANDWICH – it has the usual shapes, unusual concept compared to the Egg chocolate concept. 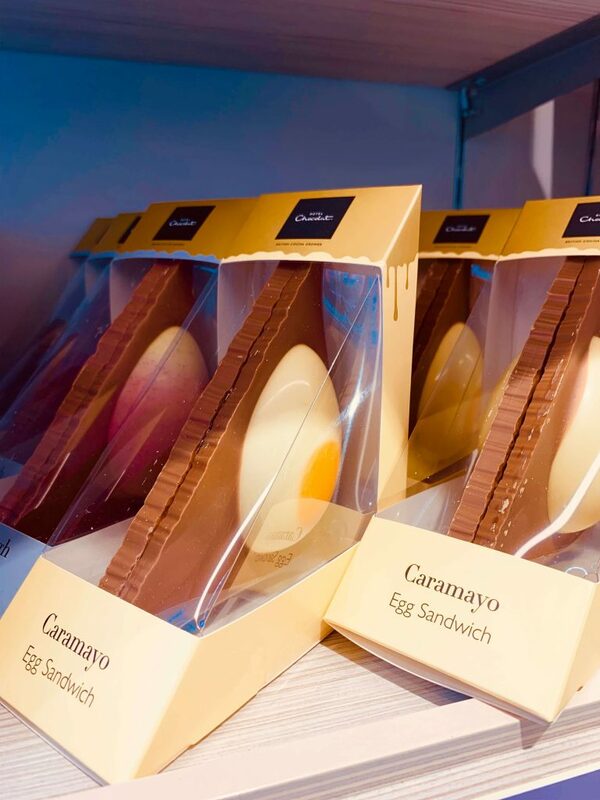 Egg Sandwich chocolate @Hotel Chocolat. 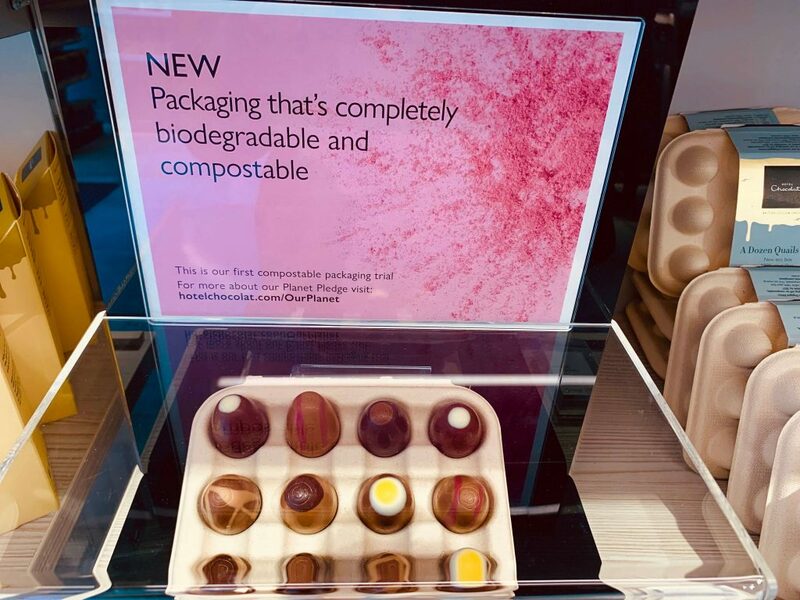 Would you ever imagine that when a company decides to be original it takes it so serious till it makes highly bio-degradeble Quill eggs boxes. These boxes are made out of CANE SUGAR which shows the engaged ethics of the company. Beautiful Right? Once your Quill eggs boxes are empty come back and get them refilled. AMAZING. 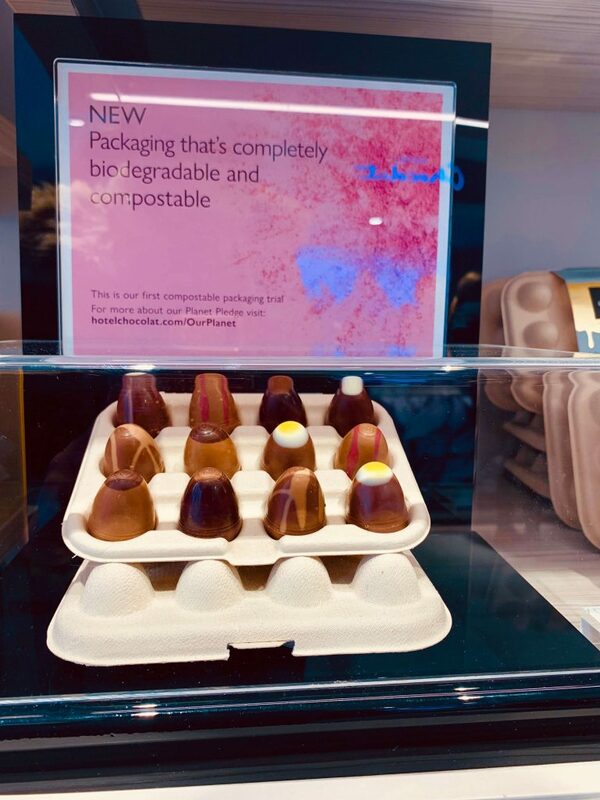 In some of their packaging, customers are allowed to bring back the black boxes in the chocolate for recycling. However, a question for the company will be to ask – Will there be incentives for customers who bring this in? 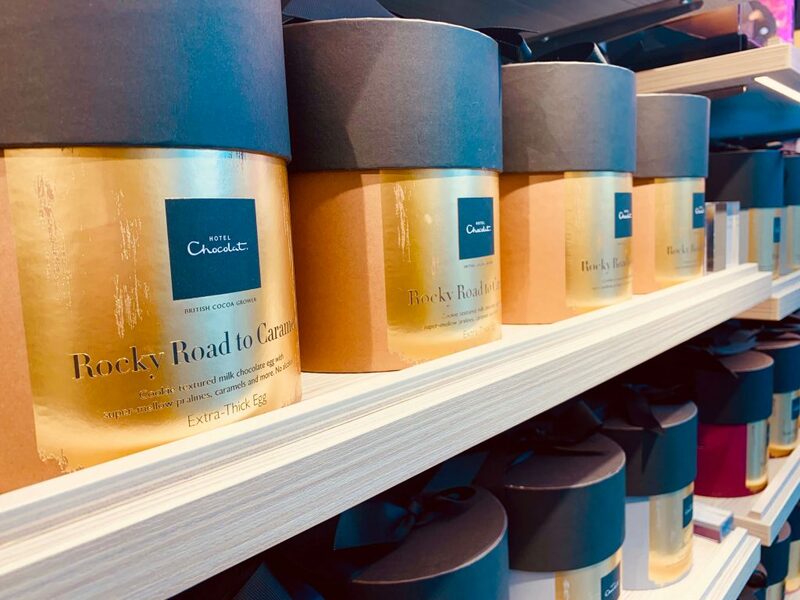 With more Chocolate and less sugar, visit Hotel Chocolat. for amazing Easter presents and encourage a farmer today.